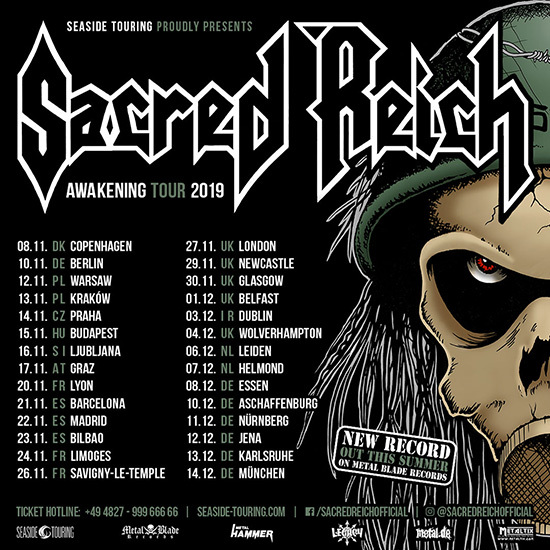 Legendary American Thrash Metallers Sacred Reich are currently in the studio recording their highly anticipated new studio album – a first in 23 years – entitled Awakening, and have just announced a full European tour beginning November of 2019! The “Awakening European Tour” will cover all of Europe. 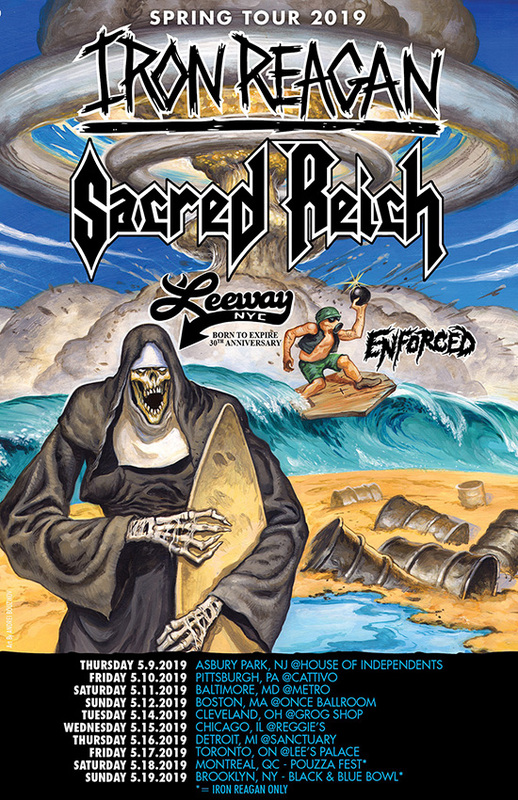 Additionally, Sacred Reich has also announced their first string of dates in North America alongside Iron Reagan, Leeway and Enforced for May, plus European visits for festivals in July and August. See below for an overview of all upcoming Sacred Reich dates announced so far.